Meeting point Frankfurt airport, 5 unknown blogger, one event. 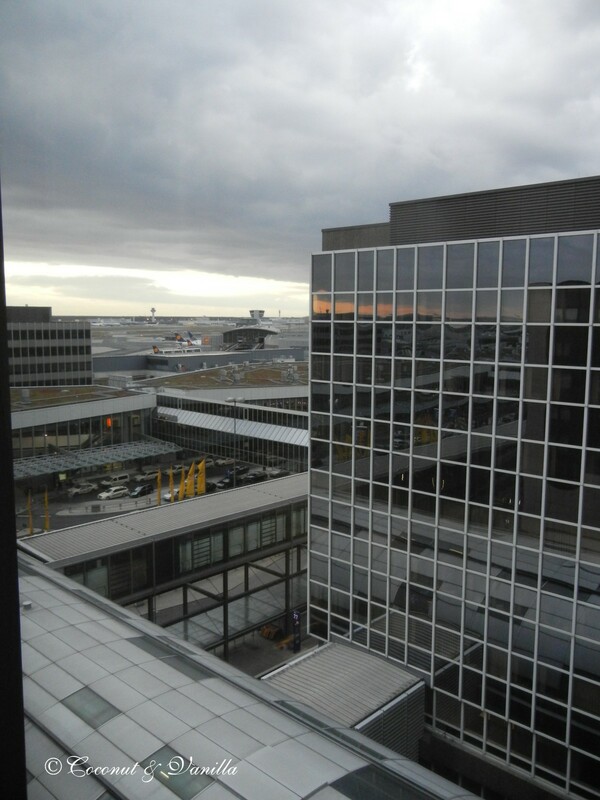 Arranged by the Sheraton Airport Hotel in Frankfurt. To start off with, it was amazing! Starting with the organization, the agenda, the hotel, the food and the caring accommodation by the team of Sheraton/Starwood and Fleishman-Hillard. Because of the impromptu appendix surgery the weekend before, I only had a restraint from sports and lifting things, not from alcohol! This would have been unfortunate, as we had a wine tasting, a cocktail course and some sipping of champagne in these 24 hours! Of course we hadn’t had only alcohol, but also a lot of food, delicious food! Arrival at the Frankfurt long distance railway station with the ICE. I like to ride by ICE, but the journey there was a bit distressing, since groups of young and middle old men drank beer and amused themselves about “funny” videos on You Tube in the train. That sucked! I was glad, that the train ride from Stuttgart to Frankfurt is quite short. Then I wandered a bit planless through the station hall, which wanted me to lead boldly to the competition, but not where I wanted. After I extensively studied the signs, I found a small hint to the Sheraton (afterwards I found out, that it wasn’t just me, other bloggers had the same problem). So I wandered through long hallways and presto, I stood in an enormous lobby. Very impressive, but isn’t that a bit over the top, I thought. In a chat later on I found out that not. General manager Sascha Konter told us, that if a flight is cancelled or a lot of flights are cancelled, because of a natural catastrophe, more than 400 people are standing in line and the lang hallway leading to the lobby is also packed then. Luckily only 2 “business people” (signature feature: suit) were standing in line before me. So I stood in line upright. I looked around and saw someone approaching me… I was invited to join an employee, I didn’t have to wait, they had another check-in desk. I wondered. He introduced himself, asked me about my journey there and told me that the other desk would be at the 9. floor. Aha, strange somehow, I thought. But up in the 9. floor everything became clear, since there is a small check-in desk, just for the guests of that floor, who are all staying in Club rooms. Of course we were also booked in such a room and 2 minutes later I had my key card and a friendly employee by my side, who showed me my room. She even took my trolley and placed it my room. Some people might think this is extravagant, but I was thankful, since I shouldn’t lift anything! 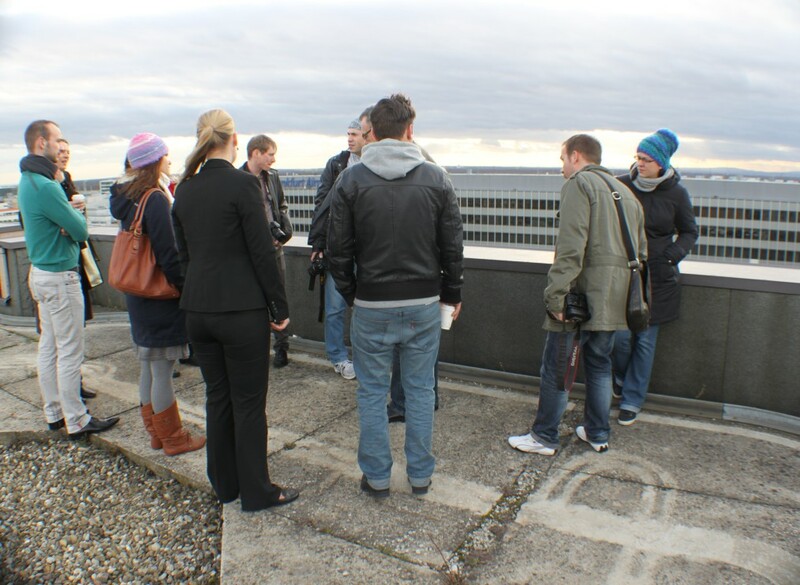 Later that day I heard, that the employees were briefed to look out for us and to accompany us to the desk. I personally liked that very much and I felt immediately “arrived”. 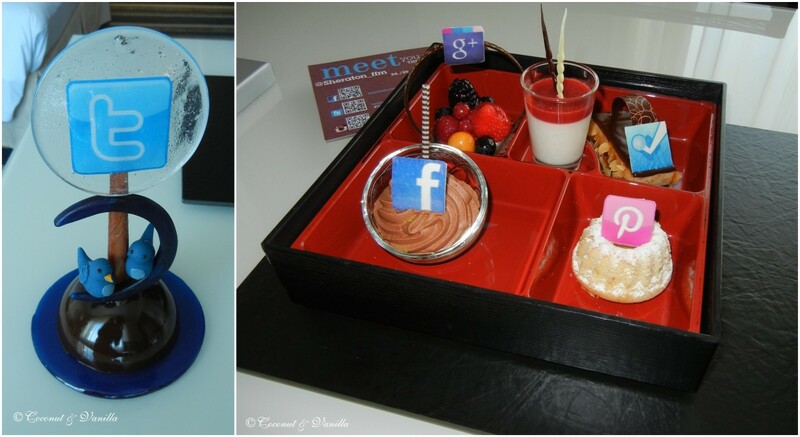 In our room these awesome social media treats greeted us! Hello?! And yes, they’re all handmade from the in-house pâtissiers. I ate the lovely Gugl straight away. The Twitter emblem now adorns our living room. I had 20 minutes to freshen up a bit, then I made my way to the champagne reception. There I was welcomed by two employees of Fleishman-Hillard Guido Schmitz and Bettina Schröder, the PR-manager of Starwood Petra Engl-Wurzer, general director Sascha Konter, social media manager Nicole Agsten, and Adam of Travels of Adam. At first I was a bit overwhelmed, because I’m really bad at memorizing names, at least when I just hear them. So it’s best to hand me over a business card straight away! When I’ve read the name it’s so much easier for me to memorize (and just for the case I can look it up 😉 ). The reception was very warm and immediately I chatted with Sascha Konter. And after a blink I was holding a glass of champagne in my hands. Few minutes later, Sabine of Hamburg kocht, Dorothée and Dirk of Cucina e Passione, and Torsten Maue showed up. Then the hotel was presented with the aid of a model and we had an introduction of the history of the Sheraton Frankfurt Airport Hotel. Just a few words about it, so you can imagine the dimension, because the hotel is really huge: 1080 rooms, 60 conference rooms, 2 restaurants, 1 bar, about 40 cooks! By the way, while we were spoilt all day, there was a convention of 600 people in the house, who got a buffet and a gala dinner! 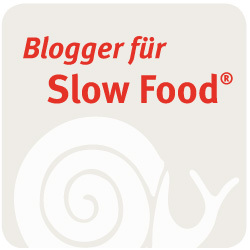 Nonetheless director of kitchen Klaus Böhler always had the time to chat with us about food. Afterwards we went to the Club Lounge on the 9. floor. There is area where the club guest have their breakfast, and where they can enjoy snacks and drinks for lunch or in the afternoon. 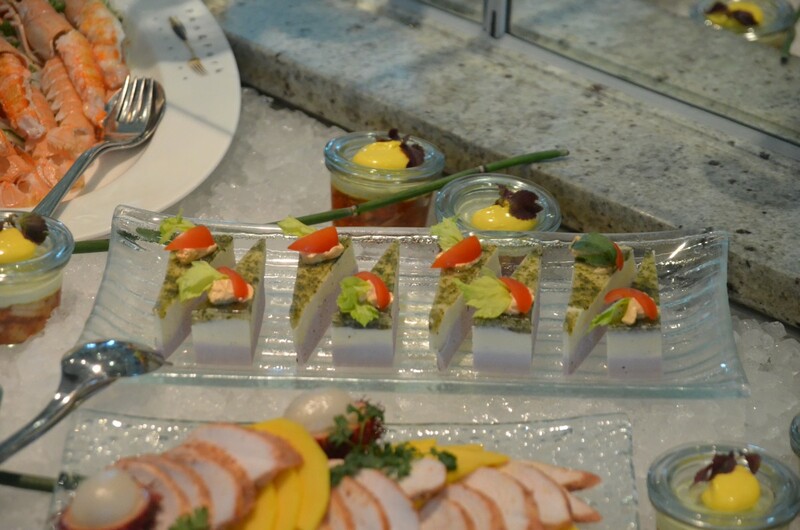 A finger food buffet, which made our hearts leap for joy, was arranged for us there! Klaus Böhler chatted with us and showed us his creations. Rock lobsters, potato tortilla with chorizo, prawn ratatouille with a horseradish cream in small glasses, peanut butter sandwiches, salmon, blackberry-banana-smoothies, potato-parsnip-parfaits, fruit sushi, champagne fairy cakes and alcohol-free passion fruit cocktails. After the “snack” we went to the next item on the agenda: driving with segways! I’ve never stood on a segway before and so I was quite sceptical. 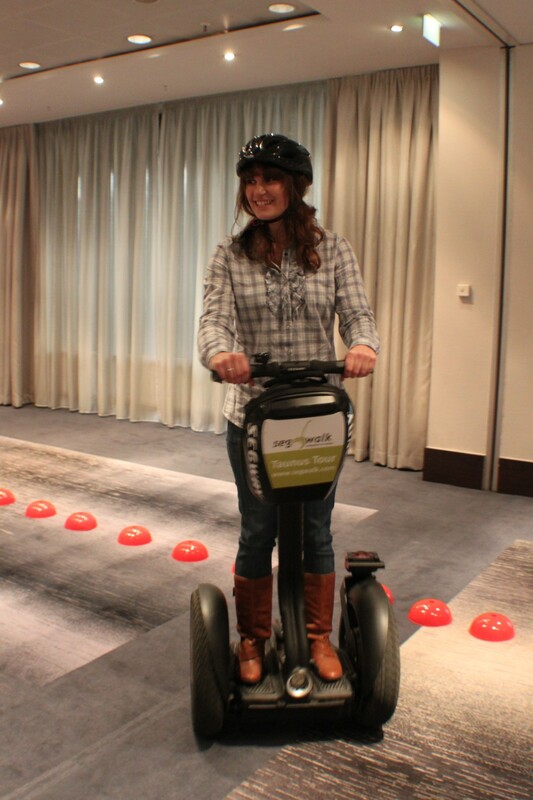 The scepticism was blown away as I took my first step on the segway. 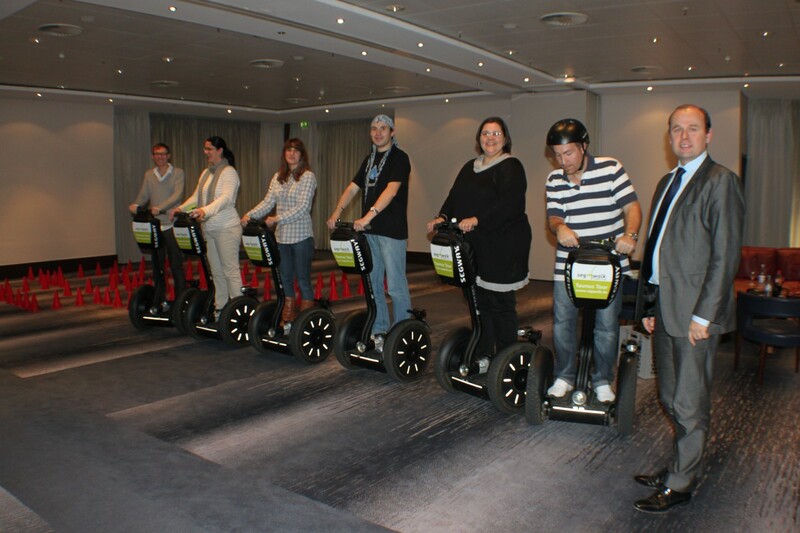 We were let in very proficient on the secrets of driving a segway and so we were able to try different courses there. Therefore they converted a conference room and closed the attached hallway. So we could drive a little faster there, if we wanted. It was a lot of fun and I was surprised how easy it is. In the next part you’ll learn what happened after the Segway Tour!